There’s something so timelessly romantic about flowers in your hair, isn’t there? 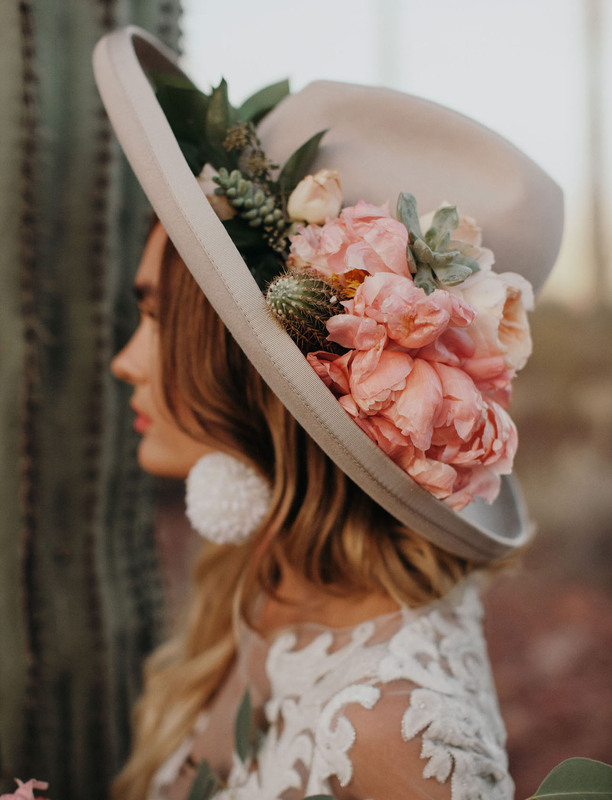 From a single bloom tucked behind an ear to a crown of flowers weaved together for a dreamy headpiece, flowers are nature’s perfect accessory. 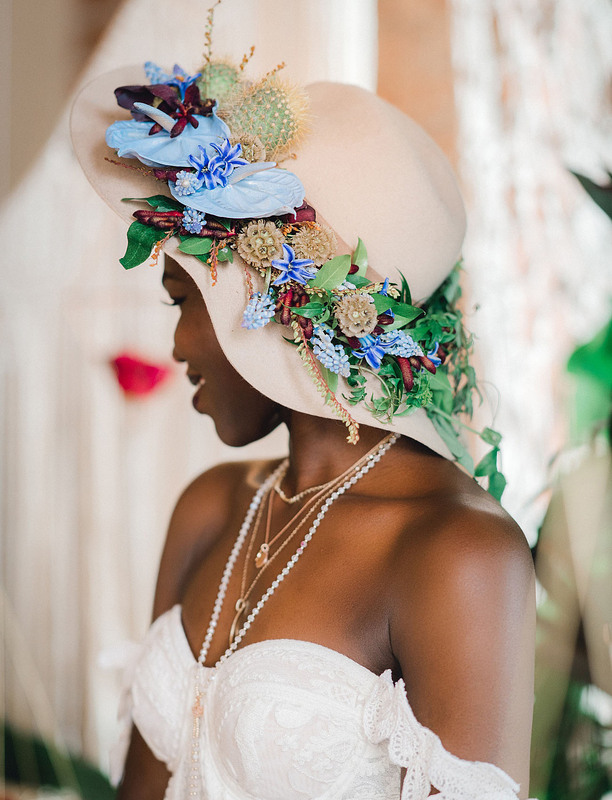 Alternatively, we’ve been seeing an uptick in brides donning hats down the aisle. Classic pieces with a bit of boho flair that make for the perfect unexpected fashion moment! 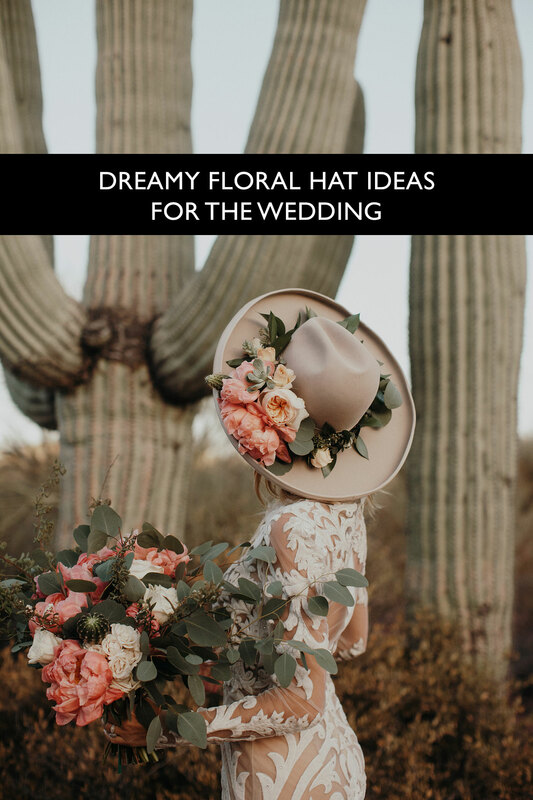 And so, combining these two great ideas, it only makes sense that we officially dub the next great flower trend in weddings: floral hats! 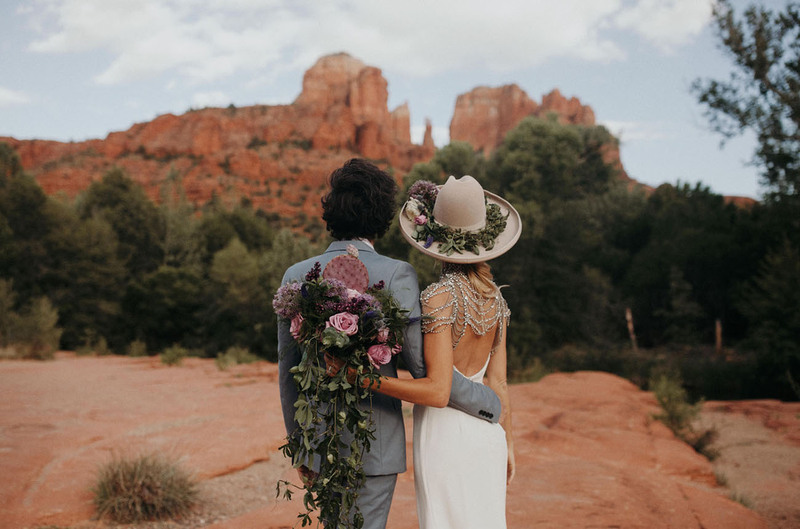 We see this trend going in two fun directions: floral hats to wear to the events leading up to the wedding and, of course, floral hats for the actual wedding day. 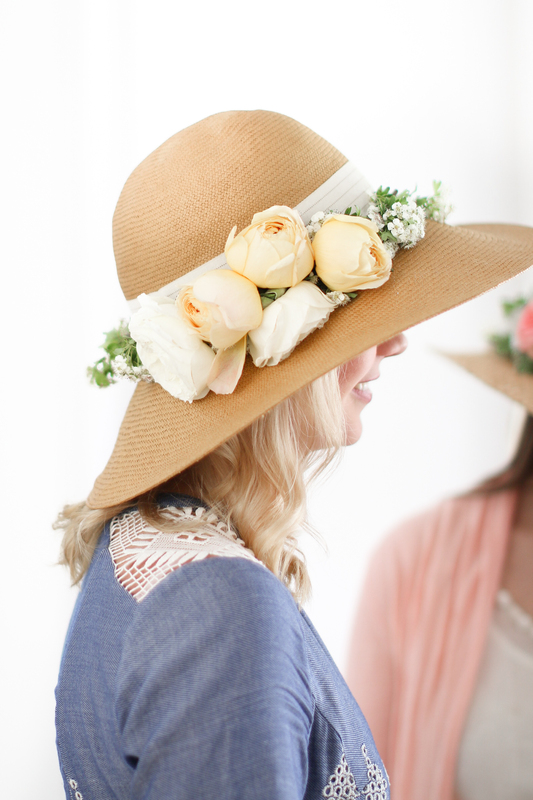 A cute hat adorned with fresh flowers is just begging to be worn to a bridal shower! 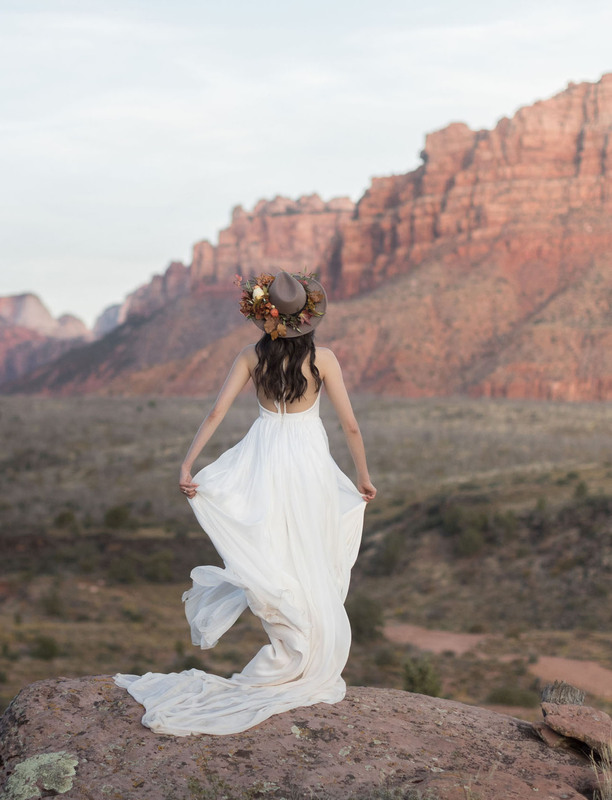 Or how about having a DIY party with your bridesmaids? 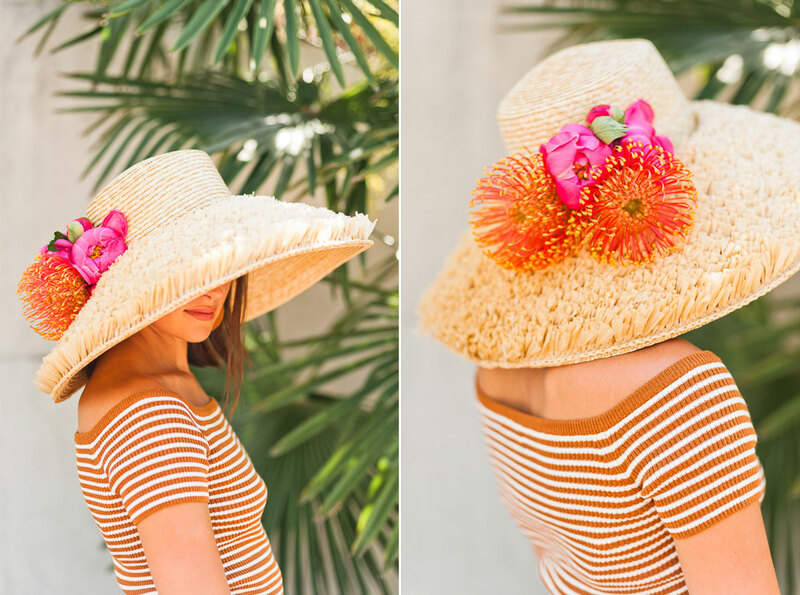 Matching hats for the pool at your bachelorette getaway, perhaps? 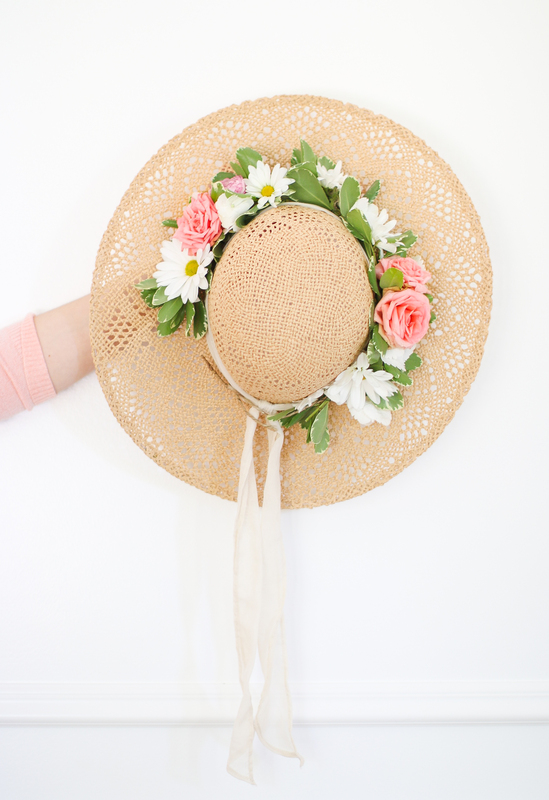 Speaking of DIY: we actually love this trend so much that we’re sharing a “how to” later today to create your own floral hat! Be sure to check back for that super helpful post but for now, let’s have a look at some inspiration that’s caused this trend to blossom! A straw hat is cute. A straw hat with flowers on it? That’s a statement! Adore the big, colorful blooms! Add a ribbon for a sweet finish. 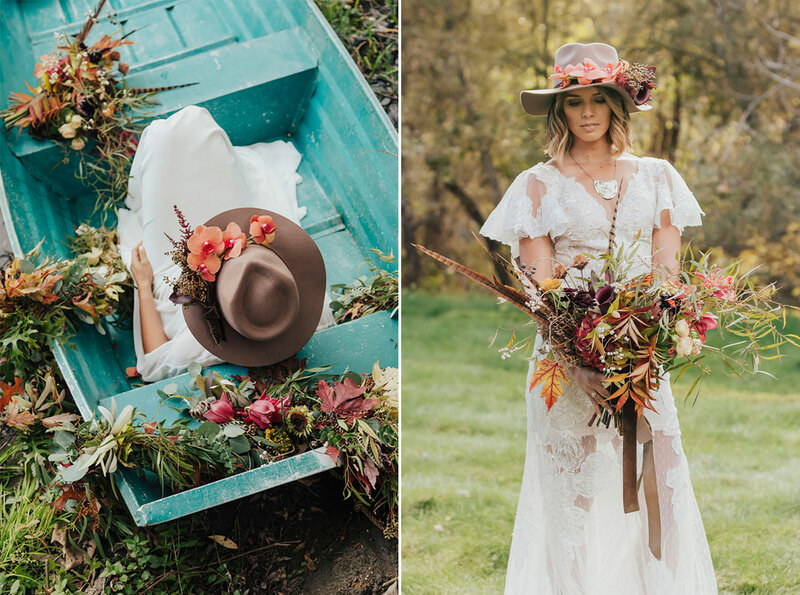 Why let the bouquet have all the fun? 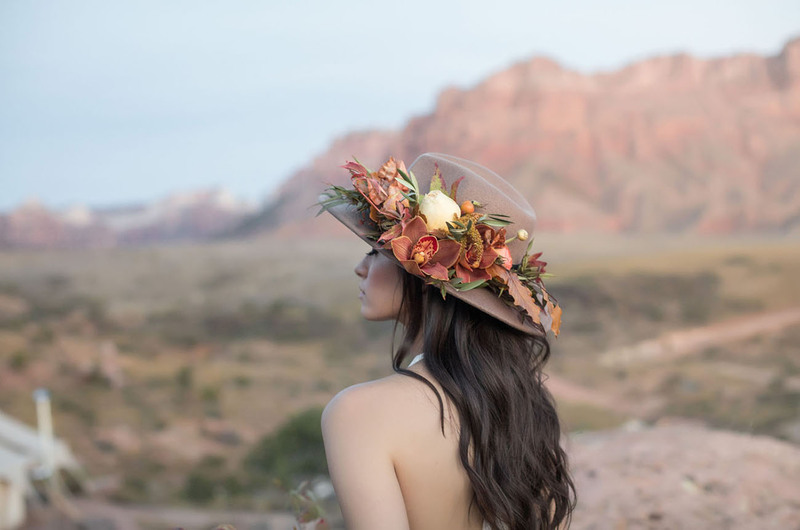 The definitive floral bridal hat! Peonies + succulents win for the dreamiest match! So fun, right? 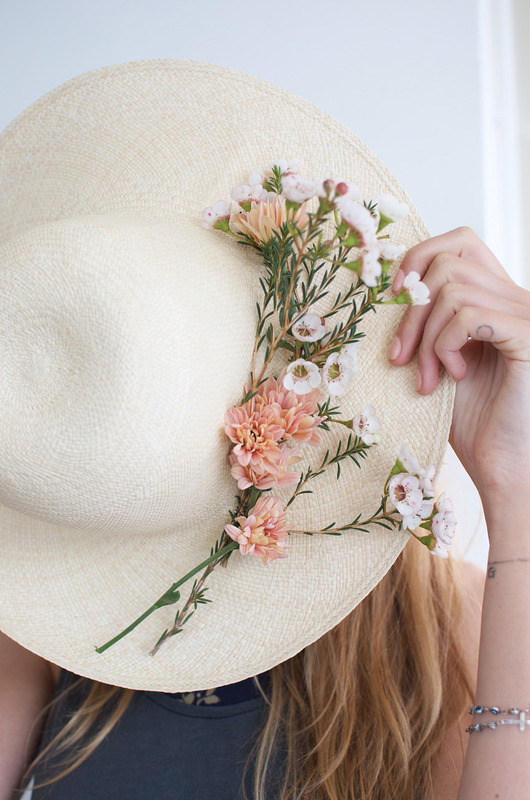 We can’t wait to share our take on the trend, so don’t forget to stop by later today for more floral hat love!